I'm Kim, a teacher by day; blogger, illustrator and crochet addict by night. I live in Norwich, England, with my fiancee and our fur-babies. I started WhatPeggySaid in June 2012, as a way to channel some of my creativity, and to give myself a focus outside of work. Teaching is a pretty full time job, and it's nice to be able to switch out of that persona after school and on weekends. 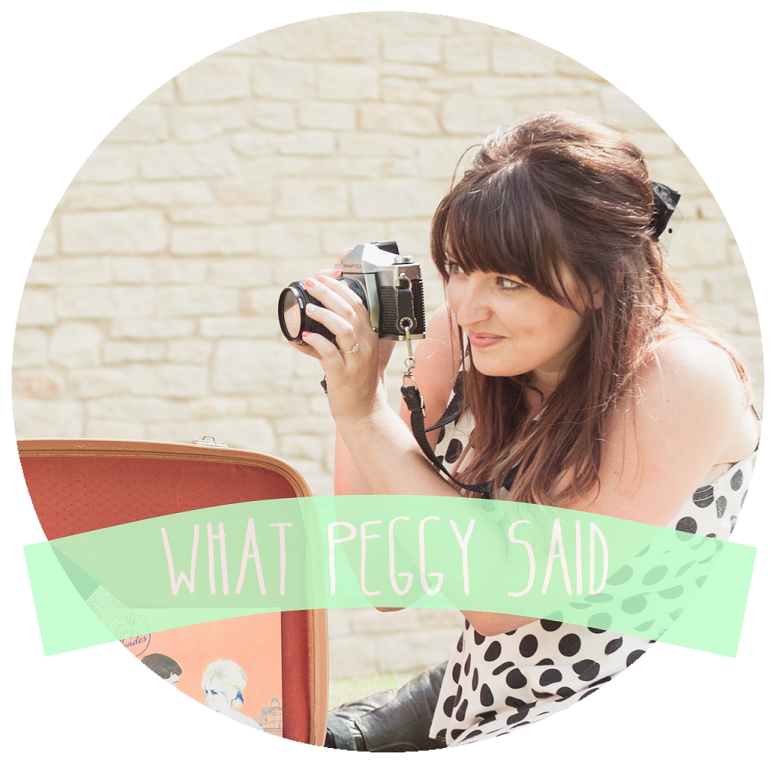 WhatPeggySaid is a lifestyle blog centered around a creative life- with a variety of clothing, vintage, home, DIY and crafts. It's named after my adorably naughty dog, Peggy-Sue. I am obsessed with quirky retro styling, and tend to show that in what I wear and the huge amount of stuff that I collect from thrifty places. We are currently renovating our little Victorian house, so you will usually find me hunting around my lovely home city for vintage Pyrex, homewares and quirky fabrics. I'm still searching for the perfect mid century sideboard. Craft for me is a way of life. I have a degree in fine art, and find it difficult to rest without creating things for too long. I am an avid crocheter after teaching myself by watching youtube videos last year. It's my latest hobby and I know it is going to last, I just can't get enough. For my Etsy shop, I create custom digital illustrations, blog headers and portraits. I love having a reason to draw, something I had missed after graduating from Art School 4 years ago. It has only been established for a short time, but I love creating each and every design! I am now expanding into Save the Dates and wedding stationery as a result of our wedding in 8 months time! I really hope you all stop by her little corner of the internet and say hello, she is super sweet! New follower from the GCF Hop. Hope you will hop over and follow back! Glad to have found you!